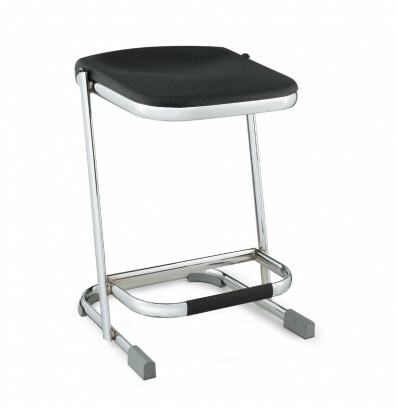 NPS Elephant science lab Z-stool features an ergonomic seat and tubular steel frame. NPS Elephant 6622 22" H science lab Z-stool offers a contoured ergonomic blow molded seat with maximum air comfort. Sturdy 12-gauge chrome-plated eye-shaped tubular steel frame. The U-shaped sled base legs with specially designed glides can be used on multiple floor types (including VCT tiles). Nests on tabletops for easy cleanup and storage.